Make your car Sound like Any Sports Car ... V8, V10 or V12 !!! NEW SOUND RACER - X Series has built-in Micro SD card slot to accept recordings of any engine in the world. Comes pre-programmed with Ferrari V10, Lamborghini V12 and Mustang Shelby V8 ... even a Harley V-Twin for those who want to use it on their motorbikes !! Use it for cruising around, car shows, event, or just having fun with your mates. 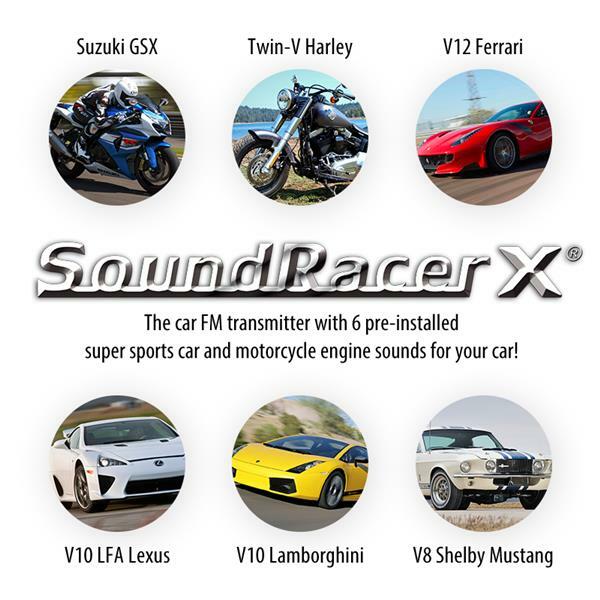 Select from any Sports Car engine sounds and even upload/record your own. Comes with FM Transmitter to play through your car stereo. Also has AUX-in and AUX-out depending whether you want to receive input from your stereo or phone and output to stereo or phone ..endless options! Makes your ordinary car engine Sound like a Supercar !!! 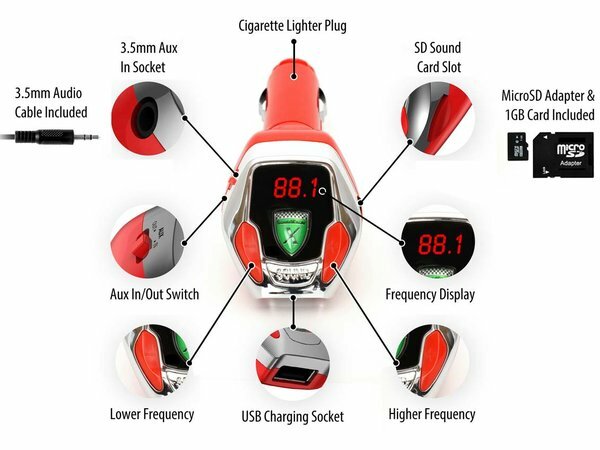 Whether you have a four cylinder, six cylinder, petrol, Diesel or Gas this Electronic Device will make your car sound like a true sports car!! Totally the Coolest Product ever !! Make your Engine Sound like a V8 !!! Absolutely the Best Product we've ever stocked !!! Makes your ordinary car engine Sound like a True Sports Car V8 Engine !!! Whether you have a 4cyl, 6cyl or rotary, this Electronic Device will make your car sound like a Big Beefy V8!! Absolutely the Coolest Product we've ever sold !! Top Selling Product all across Europe! ... over 140,000 units sold "
Now Available in Australia ... Makes your Engine Sound like a SuperCar !! Absolutely one of the Best Products ever made for the car enthusiast!